If you have an Enquiry For a Removal Company In Shaw this year, choose the best removal company in the area: Littleborough Removals. Moving house is always stressful. 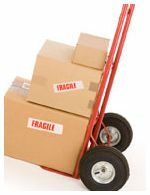 From packing up your valuables to unloading them at your new destination, its always a worry that you have organise everything correctly; so not to suffer the consequences of a move going wrong. At Littleborough Removals, they can take the hassle and worry from your shoulders by planning and executing your move meticulously. In Shaw, any enquiry for a removal company is dealt with immediately, giving the customer peace of mind Littleborough Removals have the credentials to carry out your house move without a hitch. Utilising over 15 years of experience, the team at Littleborough have what it takes to make moving house enjoyable. Family run, their service is comprehensive. For a removal company in Shaw, it has to be the superior service that Littleborough Removals provide. Whether it’s a location in Lancashire or a nationwide move, you receive the same levels of customer care and outstanding service that has served Littleborough Removals so well over the years. Don’t hesitate, for a competitive quote, call the experts at Littleborough Removals. This entry was posted in Removal Company and tagged Removal Company In Shaw, Shaw Removal Company. Bookmark the permalink.